In preparation for the 2019-2020 school year, please review the three documents listed below. The Title 1 Information document provides an overview of the Title 1 program here at SMES. The FY20 PFEP Draft document outlines the parent and family engagement plan for SMES and the FY20 SMES School-Parent Compact document shows the agreement between the school, parents and students as to what should be accomplished as part of our partnership. Once you have reviewed all three, please provide feedback through the Feedback Form listed below. You can tell us that all is "good" as is, or provide specific feedback about each of the areas. Thank you for continuing to partnership with SMES to provide the best educational experience for your and our students! We would like to take this opportunity to welcome you to the 2017-2018 school year. St. Marys Elementary School(SMES) continues to out-perform the state and RESA district on end of the year assessments. We are dedicated to upholding that tradition and will continue to meet the needs of students through a variety of strategies and scheduling options. We are extremely excited about working with each of you and your children to provide the best educational experience possible. We are committed to fulfill our school's mission of preparing all of our students to become lifelong learners and positive contributors to society. SMES teachers and staff work diligently to plan effective instruction to help students acquire the skills needed to achieve mastery of the Georgia Standards of Excellence (GSE). Enrichment opportunities in the arts, technology, STEM civic organizations and health and fitness contribute to the "whole child". We believe parental involvement is crucial to success and there are many ways that parents can become involved. We invite parents to join our PTO, attend school functions, and volunteer in the school. Working together, we can create a team of support for each of our students. Please feel free to call us at any time if you have questions or concerns. We look forward to working with you in the upcoming school year. Welcome to the Counselor’s Corner!! Hello, my name is Walter Spencer the school counselor at St. Marys Elementary School. This is my 12th year serving as St. Marys Elementary school counselor. I look forward to meeting and getting to know the SMES families! Feel free to contact me at wspencer@camden.k12.ga.us or 912-882-4839. 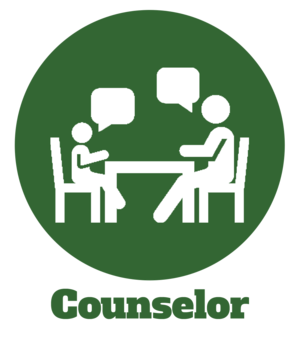 This page provides you with information about the school counseling program, and resources. * Promoting positive attitudes among students towards self, family, peers and community. * Assisting students in learning how school performance relates to future opportunities. *Developing and delivering classroom guidance lessons that teach skills such as decision making, resolving conflict and respecting others. * Working with students, parents and school staff to identify learning needs and to design interventions to enhance student success. * Helping students to recognize and make the best of their abilities. * Providing support during a personal crisis. * Working with students and parents on attendance issues. * Coordinating referrals to outside agencies. * Developing student career awareness. * Helping to create a safe and positive learning experience. STUDENTS CAN SEE THE COUNSELOR THROUGH SELF, PARENT, TEACHER OR ADMINISTRATIVE REFERRAL. This year, we are launching the Kids Heart Challenge (formerly known as Jump Rope for Heart). It's your child's chance to be a Heart Hero by learning about heart health, spreading the word and raising funds to save other children. Parent information/envelopes and stickers should be going home this week. Envelopes and online donations are due by Wednesday, February 13. Have your child go to heart.org/kidsheartchallenge, so they can take one of the three challenges and email family and friends to ask for donations. Your child will earn a glow-in-the-dark wristband just for registering online. When they get donations, they will receive Echo, Finn and a clasp. These are the Heartsville Heart Heroes that your child will learn about during P.E. Temporary positions are available for a tutor with Early Childhood certification or a pass rate in Early Childhood on the GACE. Interested candidates should contact Rhonda Lee directly for details 912-882-4839 or rlee@camden.k12.ga.us.